Lionel Messi has signed a new contract with Barcelona to keep him at the club until the summer of 2018. The deal commits the Argentina international to the club until the age of 31. Messi has spent his entire career at Barcelona and has set numerous records since becoming the club's third youngest player to feature in La Liga on his debut in 2004. Last year he became the club's all-time leading goalscorer and his 91 goals in the calendar year of 2012 set a new world record, beating that of Gerd Müller set in 1972. 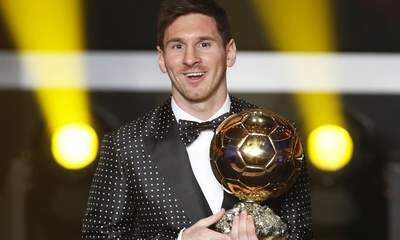 Messi, 25, won the FIFA Ballon d'Or at the turn of the year to become the first ever player to win the prize on four occasions. In a statement, Barcelona said: "This afternoon Leo Messi extended his contract with FC Barcelona through June 30 of 2018. "The signing ceremony was attended by the player, president Sandro Rosell, vice-president Josep Maria Bartomeu and the director of football Andoni Zubizarreta. "Messi added two additional years to his existing contract, which was set to expire in June of 2016." Messi has won 76 caps, scoring 31 goals for Argentina. He first moved to Barcelona at the age of 13.